I headed home to Miami for Labor Day Weekend and had such a great time. I was mainly busy with a wedding for the first three days I was there but made sure to extend our trip so we would have time to enjoy Miami. I am so happy we made that decision. The weather was perfect and gave us time to have brunch with friends and explore all the neighborhoods I do not normally get a chance to go to. 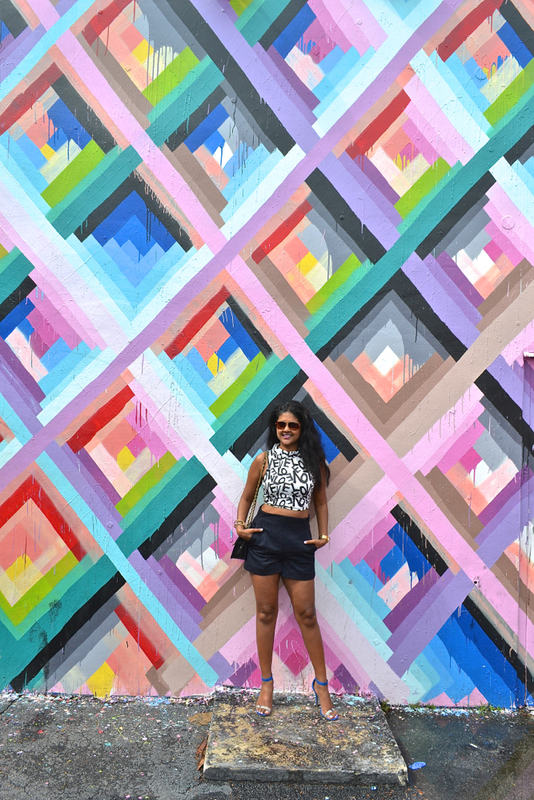 The Wynwood Walls in the Wynwood Arts district are located just between Midtown and Downtown Miami. It has taken the art scene in Miami to another level. It consists of large murals painted throughout the neighborhood by various artists representing over 16 countries. Each artist brings their own character and personality to their piece. The colors are vibrant and exciting. It is a joy just to walk among these incredible works of art. 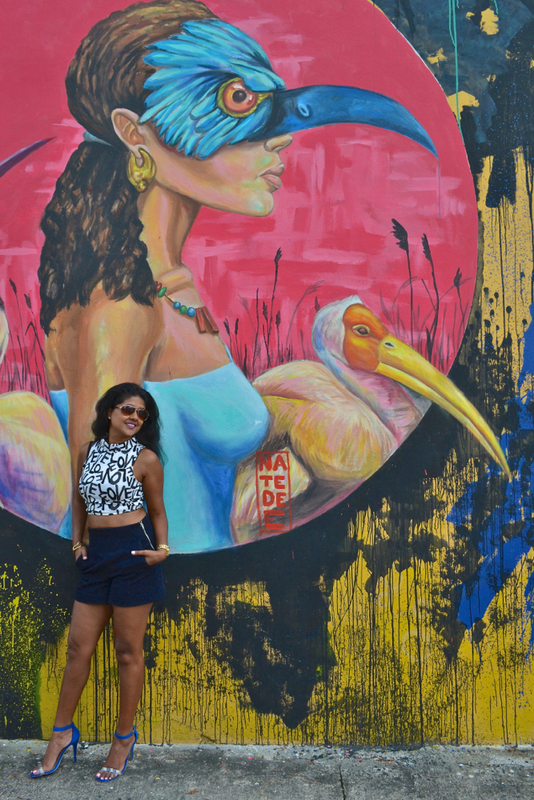 I had the pleasure of being accompanied by a good friend of mine to the Wynwood Walls. He is an amazing artist as well as has painted a mural in the Wynwood neighborhood. You can see a picture of it below, it is titled "4 Crane" by Nate Dee. 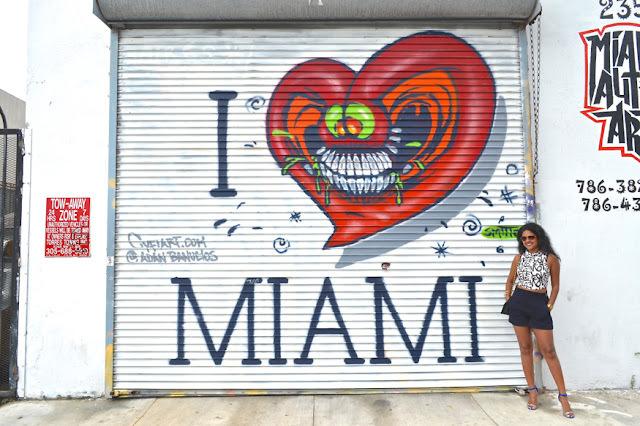 This is just one of his many murals you can see beautifying the streets of Miami. 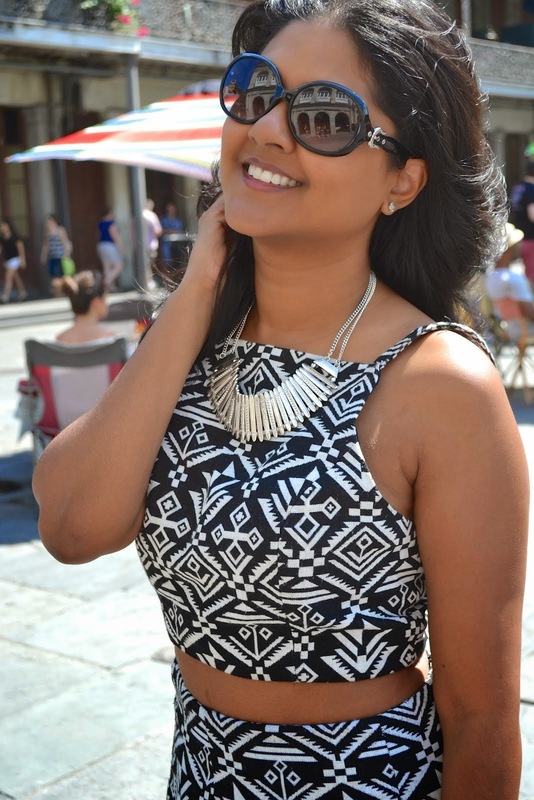 I kept my outfit simple because I really wanted the backdrop to be the focus. 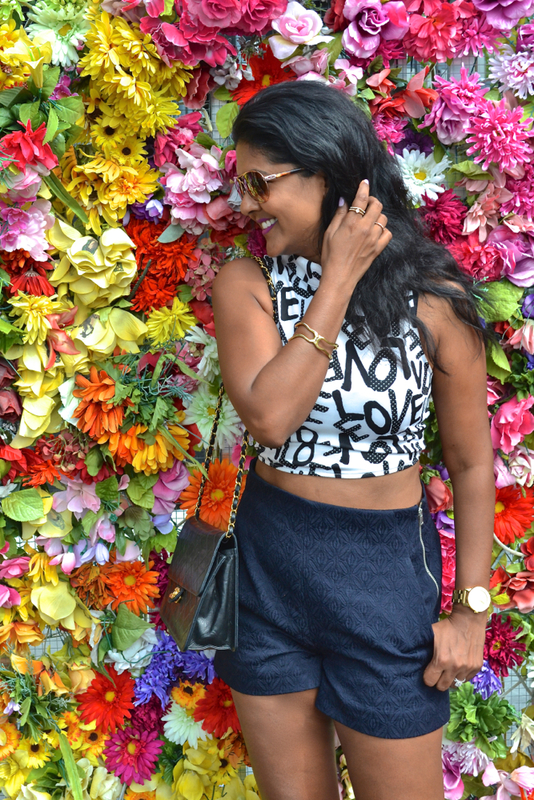 These navy high waisted shorts from Zara and crop top found in a boutique in Astoria were the great combination of artsy and cute for this outing. Summer is officially over now in New York so I am happy I was able to wear these open toe sandals from JustFab during my time down in Miami. This simple outfit packs a lot of punch but at the same time, doesn't compete with the murals. I am so thankful I finally made it over here and had the pleasure of this experience.